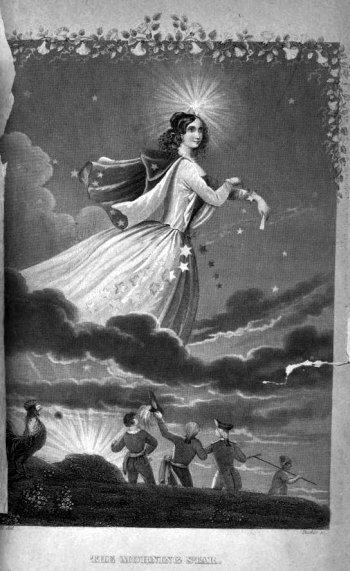 My inner child was delighted to find this wonderful metaphysical drawing from the late 1800's called The Morning Star. A beautiful woman glows as she glides across the sky to collect the night's stars and prepare the sky for the coming dawn. The sun is beginning to rise as admirers watch and a rooster gets ready to announce the new day. Every day is a precious gift. How will you spend yours?